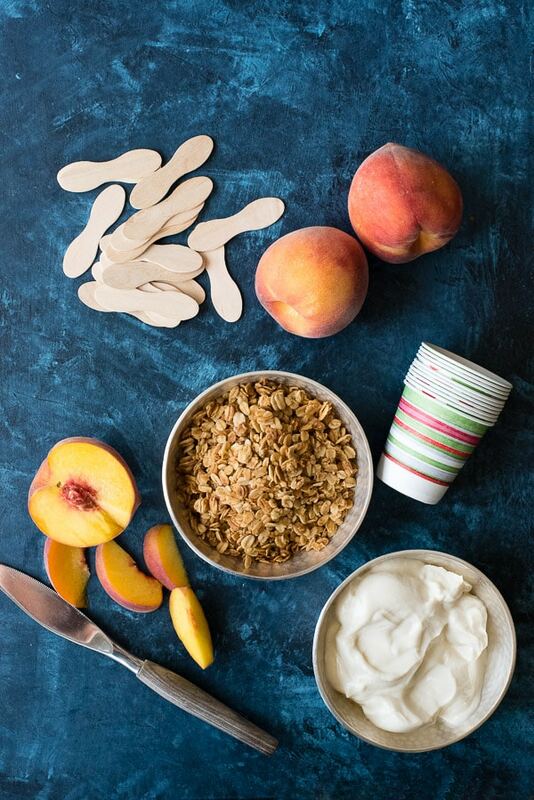 Three simple ingredients mixed together to make refreshing, sweet and tangy Peach Yogurt Granola Breakfast Popsicles! A frozen smoothie on a stick is a great way to kick off hot summer days or for a more wholesome treat anytime. No fancy popsicle molds needed! 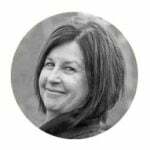 This post is sponsored as part of Boulder Locavore’s ongoing partnership with Udi’s Gluten-Free, exploring gluten-free recipes, health and wellness. All opinions are my own. I have sort of become obsessed with popsicles lately. Maybe that seems weird since popsicles seem like a kid’s thing. I eat popsicles when I create a new recipe typically but this summer I’ve been eating them every single day. It’s been so hot I’ve been dreaming of eating popsicles for breakfast. Weird? It’s really like a frozen smoothie. 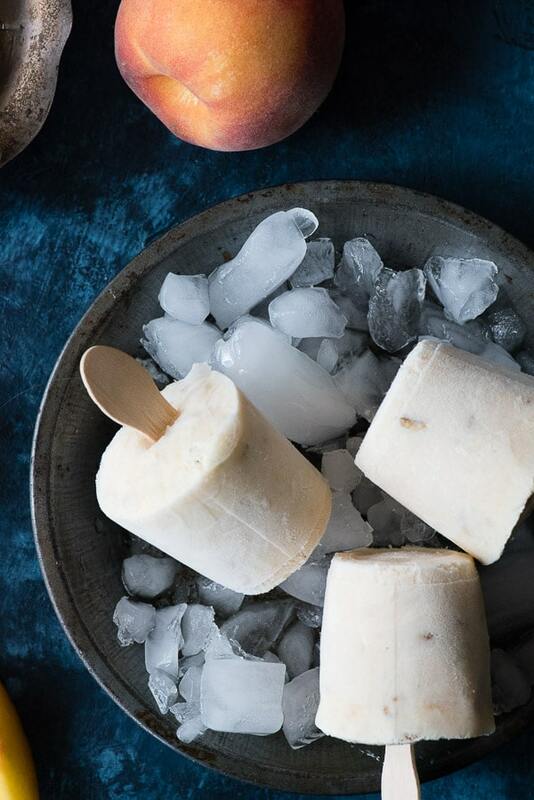 Meet my new favorite summer breakfast: Peach Yogurt Granola Breakfast Popsicles! Recently my son and I were shopping at a large grocery story and had to buy something in the ice cream area. When reaching into the ice cream freezer I spotted large bags of popsicles in the most sublime colors. I bought three bags just for the colors thinking they might integrate into a blog post somehow but the only thing they integrated into was my stomach. I ate one of the bright green and aqua blue popsicles every day; sometimes more than one a day. Sort of an overheated girl’s summer meal replacement program. I think the bright pink strawberry popsicles were my favorite. They were so creamy and filled with fruit flavor. I finally decided after several days of non-stop popsicles consumption to read the ingredients. Imagine my surprise to read that fantastic fruit flavor was completely artificial. 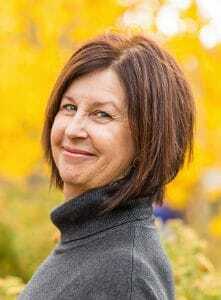 I had my doubts about the color being natural (but was still smitten). The first five ingredients were variations on sugar. Ug. 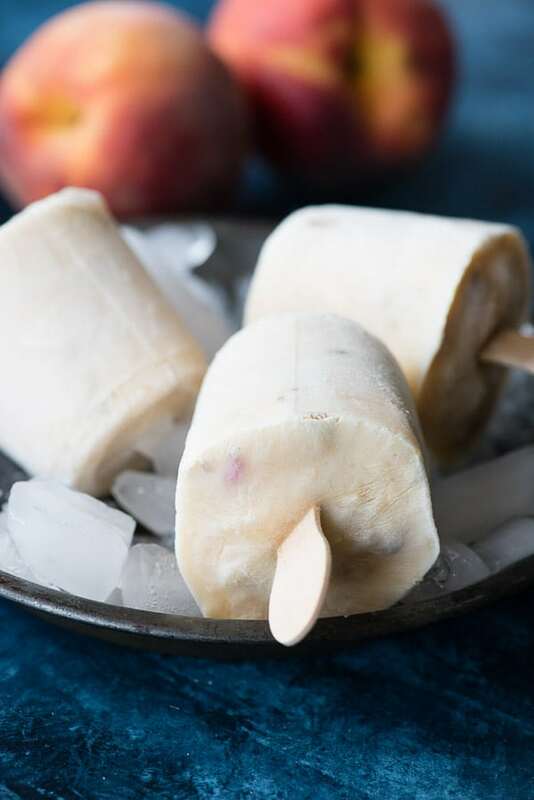 I haven’t shaken my yearning for popsicles but have whipped up some I love even more and for breakfast: Peach Yogurt Granola Breakfast Popsicles. My family thought I was nuts but did agree in this heat that eating much of anything, especially hot, was pretty unappealing first thing in the morning. 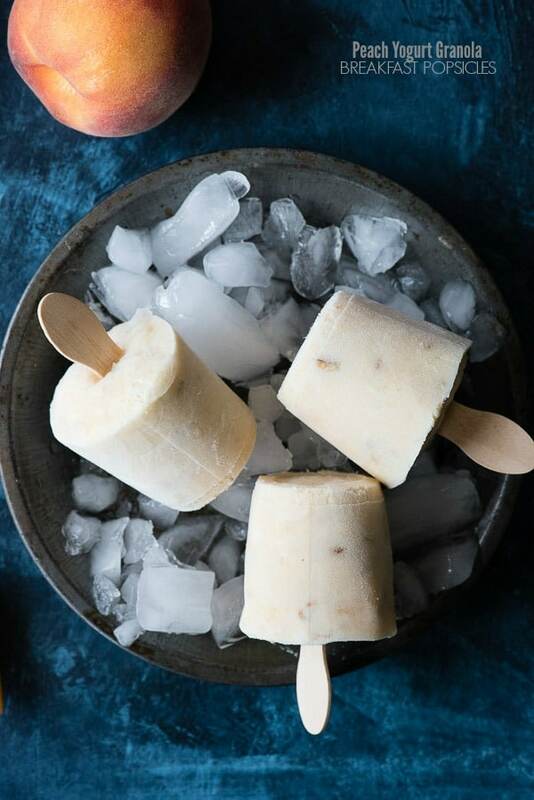 These creamy popsicles are made with fresh pureed peaches, honey-flavored Greek yogurt and some granola which softens as the popsicles freeze making a sweet, tart popsicle with great texture. They are like a frozen smoothie on a stick! No fancy popsicle molds are needed for these, though the popsicle mix can be frozen in a traditional mold too. 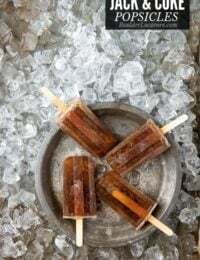 I froze these in bathroom size Dixie cups and wooden taster spoons although traditional popsicle sticks, whole or cut in half, would work too. 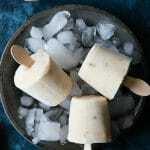 When ready to eat them the Dixie cups are peeled away leaving these cute plump popsicles. Though they are a fantastic way to start a hot day they are a great treat anytime! 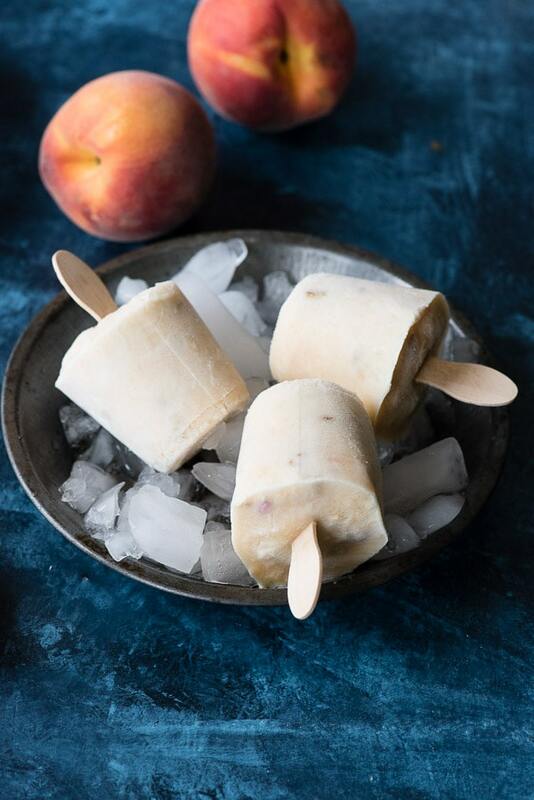 The natural sweetness from the peaches and yogurt make these popsicles lightly sweet. 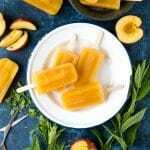 If using peaches that are not overly sweet a bit of honey can be added to the popsicle mix before freezing to suit your preference. In a medium mixing bowl combine all ingredients and stir to fully mix together. Evenly pour the mixture into the Dixie cups. Cover each cup with a small piece of foil. Make a small slit in the middle of the foil with a sharp knife and insert the stick into the popsicle. Allow to freeze until hardened. Peel away the Dixie cup and enjoy! Oh my goodness! Those popsicles are perfect for summer days, and this one is unique! I’m gonna try this. Yogurt will always be one of my favorites and it’s really nice to be able to enjoy it in ice cream form! 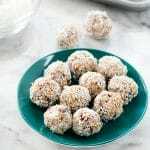 This is such an easy treat and the kids will love it for sure. 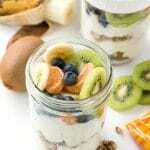 I like that you added granola into the mix, this adds crunch to the creamy popsicles! These popsicles sound wonderful, especially since I’m melting even in the house as I write this. They would also make great snacks for hot afternoons. Oh these sound great. I’d love to make some to cool off with. It’s been so hot! 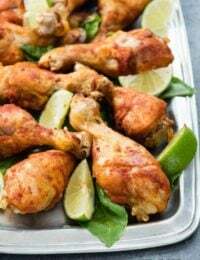 These look like something my trio may just like to eat up! 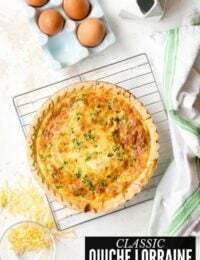 Thanks for a fun breakfast idea! 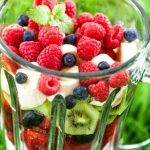 These look and sound so delicious and refreshing! 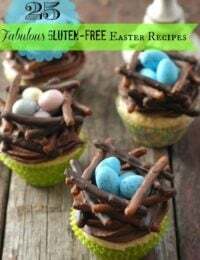 I need to make these asap i think they’d be a real hit with my kiddos! We have so many fresh peaches right now. 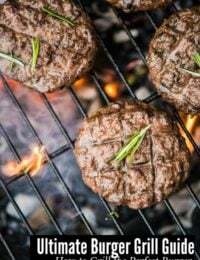 I have been wondering how to use them.This sounds like a great recipe for them! I gotta use them before they go bad. 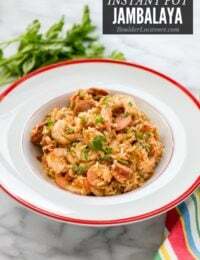 This is the best recipe ever! 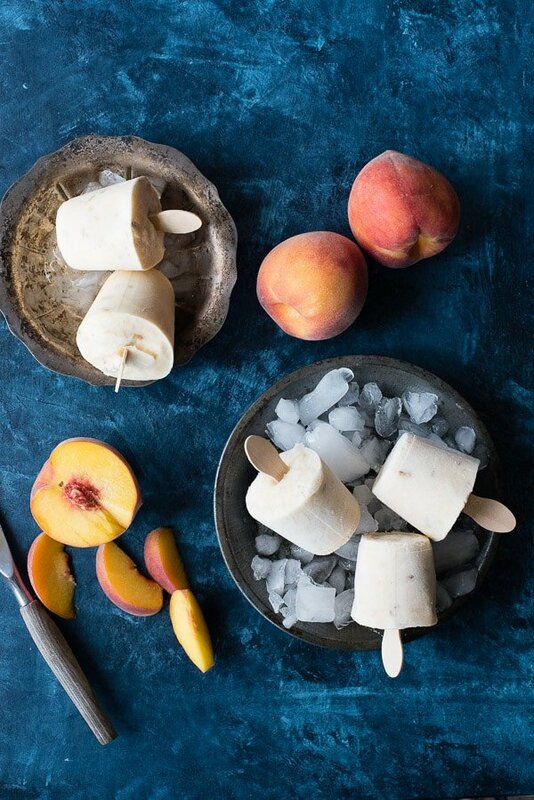 I know your title is a breakfast popsicle, but I think this is a perfect healthy snack for a hot Georgia afternoon. Love it! Nothing says summer goodness like a good popsicle and making it yourself means controlling the ingredients which is so much better anyway!